You'll love the Grace dress! This classic, timeless style features an a-line skirt with large pleats, a simple round neckline, cap sleeves and princess seams on the bodice. 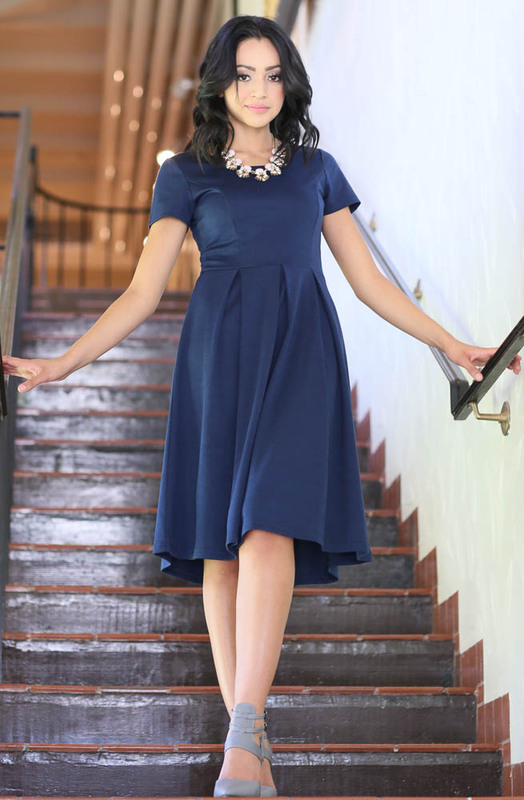 This comfortable fit & flare dress can be accessorized to match any personality, or can be worn as-is to showcase its simplicity. The dark, beautiful color & figure-flattering fit makes it a great choice for a modest bridesmaid dress too! Also available in Burgundy and Blush Pink. Length: (from shoulder to bottom of dress) XS-S 40.25", M-L 40.75", XL-2XL 41.25"